Opening hours: January 2nd to February 29th Monday to Friday from 10 AM to 7 PM daily, from March 1st to December 31st Monday to Friday from 11 AM to 5 PM, Saturday, Sunday, holidays and winterstop from 10 AM to 6 PM. Closed January 1st and December 25th. Opening hours confirmed by museum: copied from museum website March 2013. 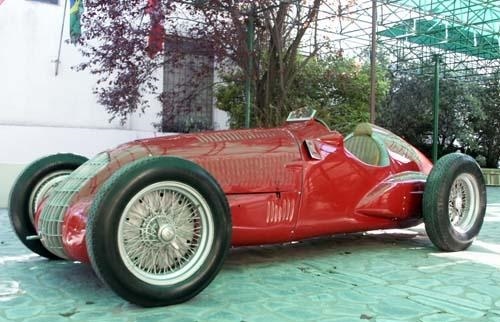 Remarks: Museum dedicated to Juan Manuel Fangio, who brought Alfa Romeo the second Formula 1 championship victory in 1951, driving a Tipo 159 ‘Alfetta’. Many cars and objects in large collection.